I LOVE pasta and cheese! These are two things that are my downfall so I am loving one alternative way to eliminate one of these things but still get the yummy goodness mixed all together!! 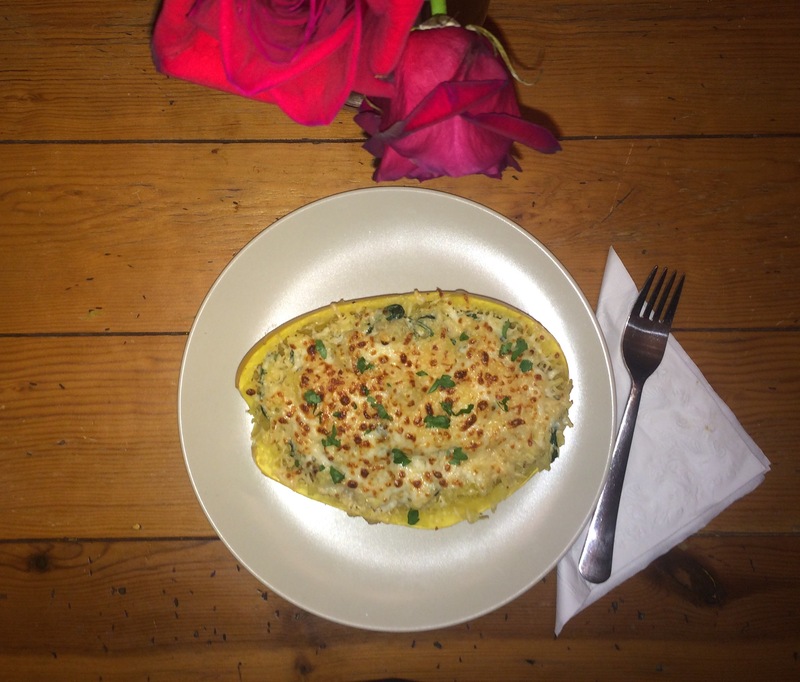 There are two different ways to cook spaghetti squash!! Before doing one of these two options, don’t forget to cut the spaghetti squash in half and scoop the seeds out. Longer time (to get a work out in while it cooks! ): Preheat your oven to 400 degrees. 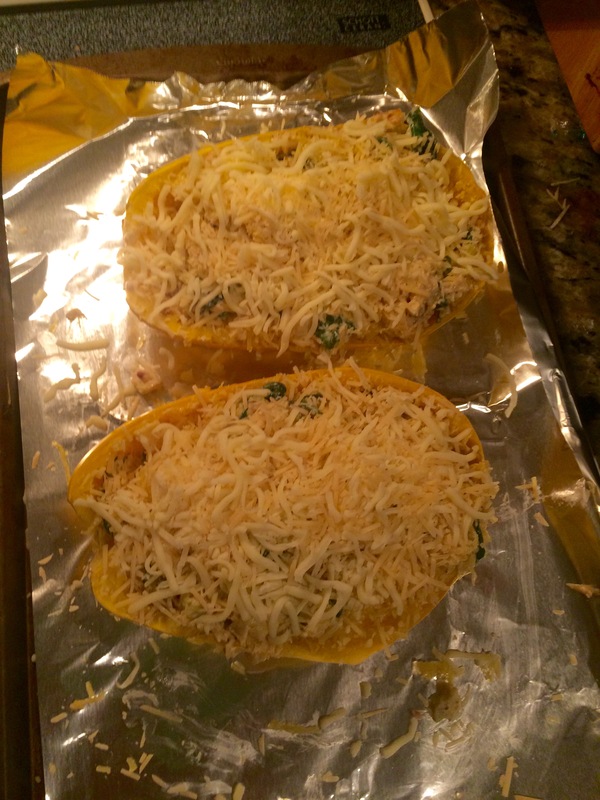 Rub olive oil in the squash and place cut side down on a foil lined baking sheet. Cook for 30-45 minutes. 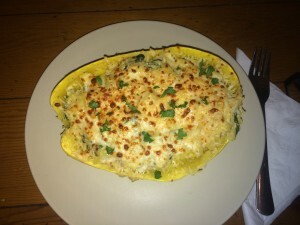 Quick time: In a microwave safe dish, place the spaghetti squash cut side up along with an inch of water in the bottom. I used my Pampered Chef Rockcrock which worked perfectly! Top with either a lid or cover with a paper towel. Microwave for 10 minutes until soft. Turn oven onto broil setting. 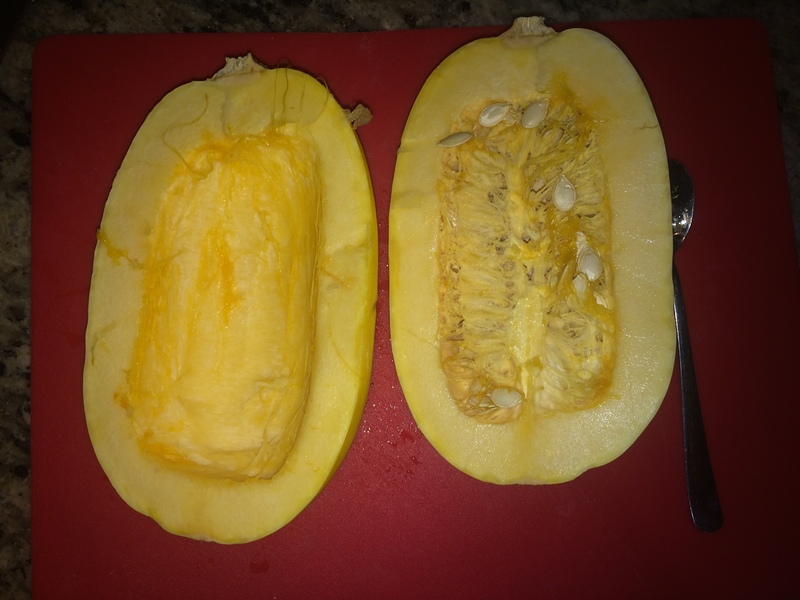 Take your cooked spaghetti squash and scrape the insides with a fork to help get the strings off of the sides of the spaghetti squash. Once done, put spaghetti squash strings back in and place on a foil lined baking sheet. Put to the side. In a large pan, heat 3 teaspoons of olive oil over medium heat. 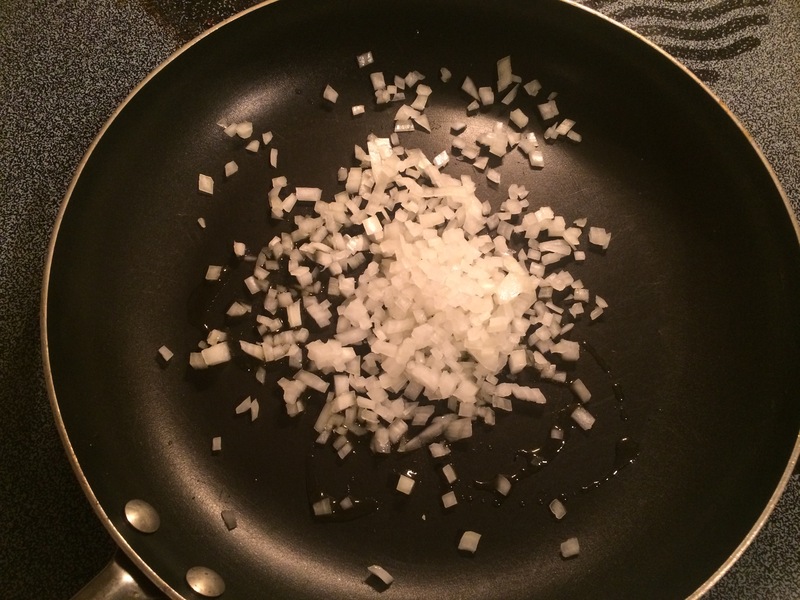 Add the onion and cook until tender for 6-8 minutes. 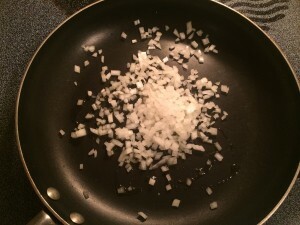 Stir every few minutes so the onions to not burn or stick to the pan. Add garlic and season with the salt and pepper. Cook for 60 seconds until the garlic is fragrant. Add the sour cream, cream cheese and half of the Parmesan cheese into the pan. Stir ingredients until the cream cheese is melted. Add the spinach and artichoke hearts, stir and cook until the spinach leaves are wilted. Pour half of the cooked mixture into each half of spaghetti squash. Mix the sauce and spaghetti squash strings together to combine it as much as you are able to. Top the spaghetti squash with the mozzarella cheese and the other half of the Parmesan cheese. Place the pan under the broiler and cook for 2-3 minutes until the cheese is melted and has a bit of a browned cooked look. Sprinkle with fresh Italian parsley and enjoy! !